Jockey Craig Williams gives trainer David Hayes a glowing report after Hong Kong Cup runner Criterion caught the eye. As Japan descends upon Sunday's international meeting, one of their big guns will be Straight Girl in the Hong Kong Sprint, and the mare was giving off plenty of positive vibes during a routine spin at Sha Tin yesterday. It wasn't so much what she did, but rather the way she did it. The multiple Group One winner literally strolled over 800 metres in 56.5 seconds, the last 400m in 25.36 and made it look like a walk in the park. Straight Girl opened up just slightly in the final 200 metres, clocking 12.55 for that split, but you could sense that this was a mere piece of exercise for the Sunday Silence granddaughter, and that all of her considerable energy is being stored for the big game at the weekend. 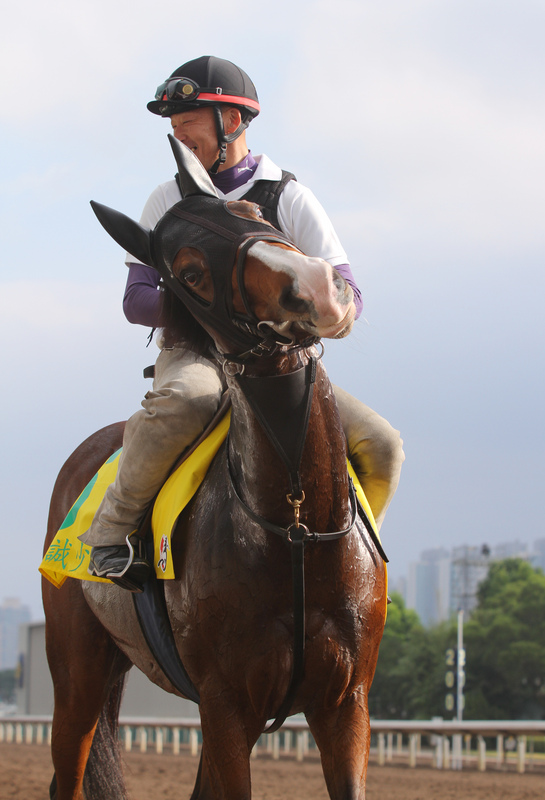 Assistant trainer Kazuo Fujisawa, whose father Hideaki trains the six-year-old, said as much after the workout. "The last time she worked on the turf at Sha Tin was a year ago, so she was likely to be a little nervous, but it was no problem and we have no concerns about her condition," Fujisawa said, before adding that race-day rider Keita Tosaki will ride her in a quicker piece later in the week. Straight Girl is likely to be much more effective on Sunday than she was last year, simply because her 2014 attempt was her first overseas foray. Under Yasunari Iwata, Straight Girl settled midfield and three wide, but finished resolutely for a good third to Aerovelocity and Peniaphobia. Since going back home, Straight Girl seems to have gone to another level. She won the big Group One for fillies and mares, the Victoria Mile, in May and then was set for the richest sprint in the country, the Sprinters Stakes at Nakayama, and won that, too. By comparison, in 2014 she had run third in the Victoria Mile and second in the Sprinters, so there's little doubt she's improved. The other big plus for the mare is her relationship with Tosaki: in three pairings, they have delivered two Group Ones and a fourth in the Sprinters Stakes lead-up, the Centaur Stakes at Hanshin. Aussie star Criterion was probably the star on times yesterday. With Craig Williams in the saddle, the elegant chestnut ran 1,400m in 1:35.6, running home his last 400m in 23.5 and the ultimate 200m split in 11.35 seconds. 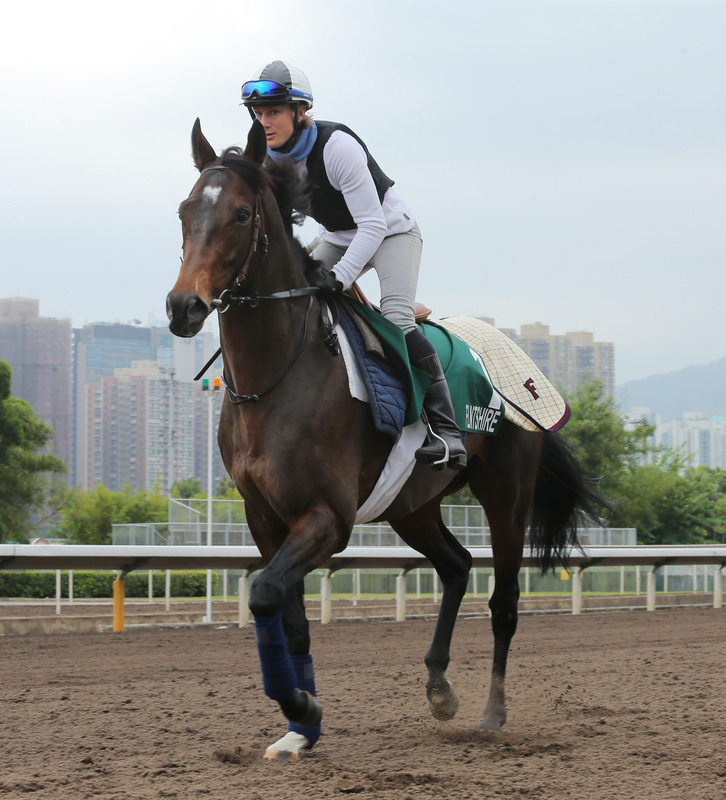 Williams, a former club jockey in Hong Kong, was his usually cheery self after the workout. "I'm very happy with him," Williams began, "especially as he was so relaxed compared to the last time he was here in April. "He quickened up nicely over the last 200 and he recovered in 30 seconds. I couldn't be happier with him." Criterion's compatriot and Cup rival, Lucia Valentina, looked a picture of health as she accomplished her own 1,200m gallop, a couple of minutes after the "big horse". The last-start Mariarch Stakes winner at Flemington in Melbourne Cup week clocked 1:21.1 for the 1,200m, running the same final 400m as Criterion and even shaded him for the final split (11.24). Reigning Hong Kong Vase hero Flintshire arrives in peak form, off a second to star three-year-old Golden Horn in the Prix de l'Arc de Triomphe, and made easy work of his morning assignment. Bowling around on the all-weather track, Flintshire ran 800m just inside even time, 59.5 seconds to be precise, and maintained that steady tempo right to the line. Richard Lambert, travelling head lad to trainer Andre Fabre, said: "Nothing different, everything is good with the horse." Flintshire will be aiming to become the second dual winner of the Vase (2,400m), following Richard Gibson's Doctor Dino in 2007-08.